On the road again; Singapore, India, Qatar, Turkey, France and America, who would have thought that one year would have passed since being granted a 2016 Nuffield Canada Scholarship, but the next 44 days are sure to be memorable, intense and life changing; at least that is what I have been told. I am currently on route to begin my 2016 Nuffield Global Focus Program, although not mandatory, it is a program I opted to participate in as part of my Nuffield journey. Organized by Nuffield Australia, I will spend the next 6 weeks with 5 Australians, a New Zealander, Brit, and Irish person as we embark to add perspective to food production on our around the globe program. I truly believe this to be a once in a life time experience will provide opportunities to explore who food is grown, consumed, transported, processed and everything in between around the globe. The aim of exploring developing nations, exporting countries, oil based economies, those in transition to the most mature in the world, not to mention that American powerhouse, gaining an understanding and what it means to farming back home. The purpose of my blog post today is home: our turkey farming family in Norwich, Ontario. So to my farming colleagues, who for the most part enjoyed a gentle rain fall over the weekend to bring along the crops which were planted with ease during the month of May. 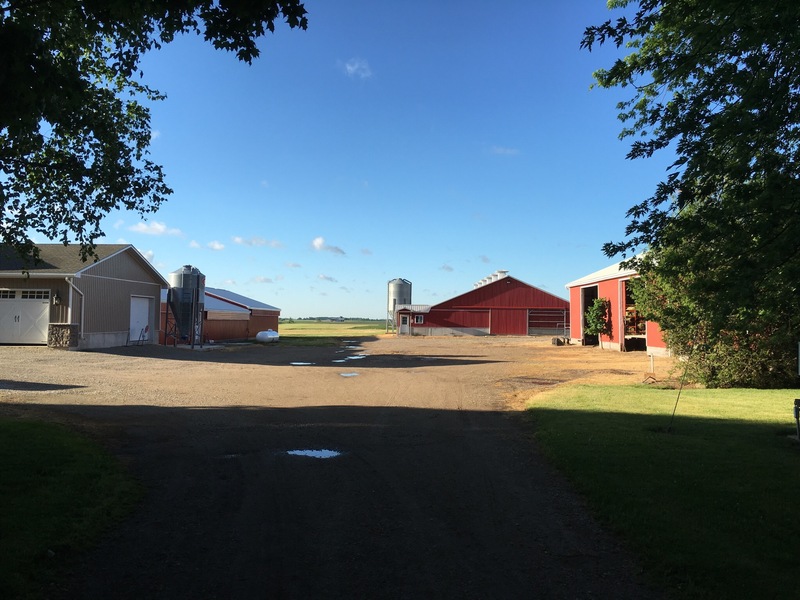 Our farm consists of about 180 workable acres. 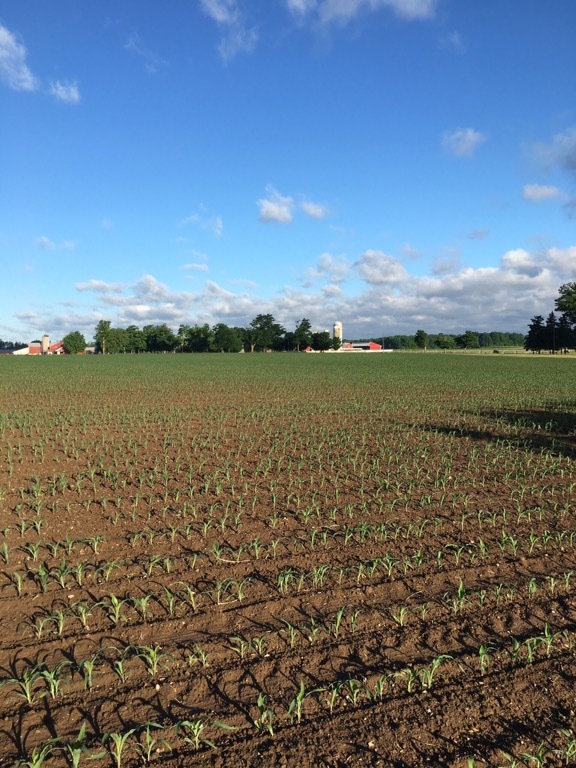 This year, we have winter wheat and corn which will be knee high by the 15th of June, compared to the age old saying of the 1st of July. The field work is hired out to my brothers, whom plant and harvest, given we have minimal equipment on the farm. Another sign of spring is that of our new flock of turkeys placed on May 4th. Having brooded a 4800 turkeys, half will be shipped as hens in mid July, the balance sold as heavy tom’s in mid August. As with every flock, they all have unique behavioural characteristics. Having placed turkey’s to strategically work around my 2016 Nuffield travel schedule; the birds have now been separated with my hens being raised in my brooding barn and toms moved to their grow out barn last Thursday. I am fortunate to have a great neighbour in Dave Jackson, a conscientious, thorough and thoughtful neighbour that is checking barns everyday while I am away. Between Dave and Kathryn who has a keen and watchful eye, the farm is in great hands. Another piece of a busy spring season relates to banking at National Bank, I fortunately was able to meet all of my 15 team members over the past two weeks. With many farmers planning for spring closing farm purchases, new constructions or equipment upgrades, my team members have been extremely busy and I value everyone’s team work who strive in keeping customers as their core value. Lastly, and most importantly is the spring activities of my family at home. Carmyn and Sophia who are playing soccer and gymnastics, Charlotte who is walking this spring and exploring the outdoors and Kathryn who has once again undertaken to ensure our property resembles perfectly manicured park with her flower gardens and yards. Spring is an exciting time with the thoughts of warm weather, family time over the summer, and long days to enjoy ice cream breaks at Ritchie’s in Norwich. My Nuffield journey would not be remotely possible without the full support of my wife Kathryn; she has unequivocally taken the burden of responsibility of our family and farm while I ‘galavant’ around the globe. 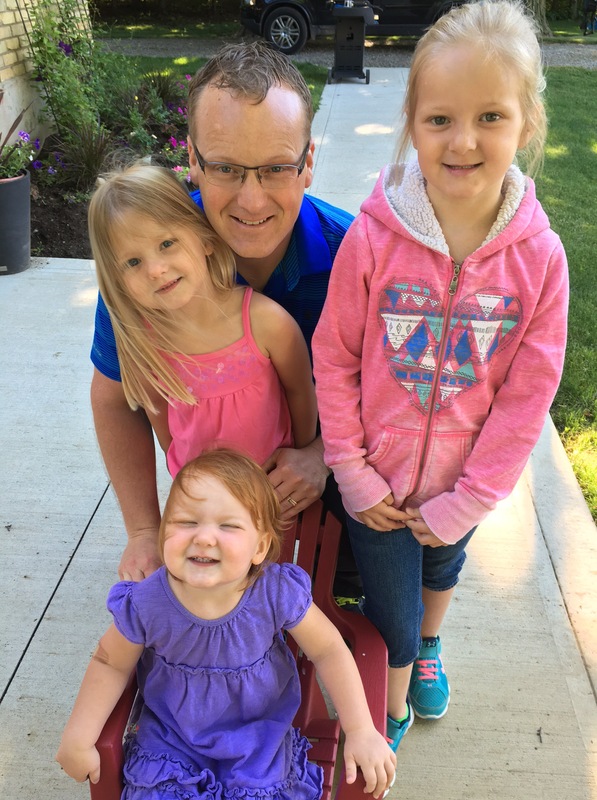 The ladies of my life, are exactly that, my life; Carmyn is 6, Sophia 4 and Charlotte turned 2 last week. Thank you! Words cannot begin to express my gratitude for ‘your crazy Dad’ and my inquisitive nature to want to investigate, explore and know more beyond the borders of life in Norwich. So as I embark around the world, many of you who are supporting and encouraging me along all deserve your own credit! Spring has sprung, life is busy and my journey is taking me far from home, but my family and friends keep me rooted in all that is important, my family, my farm, my community and my fellow farmers and colleagues; you are all what make home a wonderful place! Have s safe and wonderful trip.